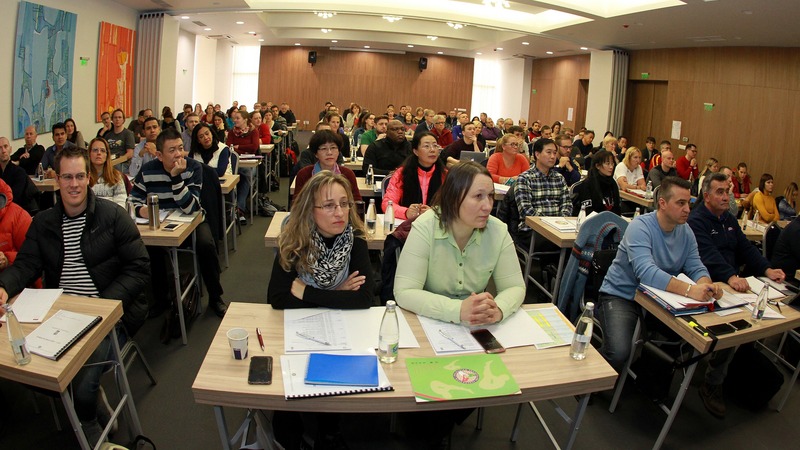 The International Gymnastics Federation and the Bulgarian Trampoline Federation are hosting a TRA Intercontinental Judges Course. The event has started on February 1st and will continue until 4th February 2017. 108 candidate Judges in all disciplines from 33 National Federations are present. This is the basic course for the next 4-year Olympic cycle. During the time of the course will be discussed the new rules, which are valid from 1st January 2017. Following the studies all Judges will take part in theory and practice exams and afterwards they will be able to increase, decrease or keep their Judges category. Also present in the course are the Bulgarian Judges Mariela Stoycheva, Mariya Vangelova, Ivo Krastev and Vesselin Kostin.